If you thought Somewhere Only We Know showed a new, more tender side to Lily Allen, try this beautiful track Shelter You on for size. 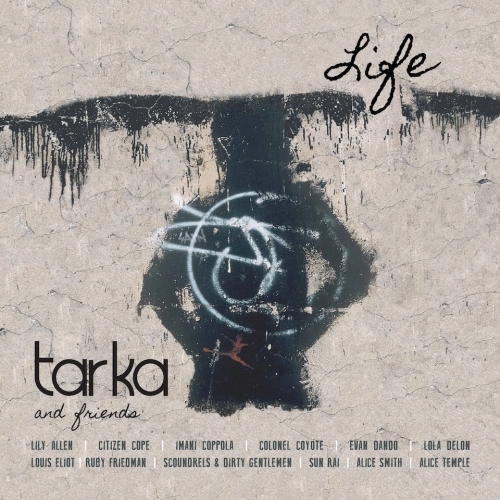 Lily leads the artists paying tribute to her late brother-in-law, the singer-songwriter Tarka Cordell, on the album Tarka & Friends: Life, out February 10. The son of Procul Harum producer Denny Cordell, Tarka grew up around the likes of Joe Cocker, JJ Cale, Tom Petty, Bob Marley and Keith Richards. Before his album of tender, fragile songs Wide Awake In A Dream could be released, Tarka lost his battle with depression and took his own life in April 2008. On Life, Tarka's many musician friends have come together to record his songs in their own voices, not least of which is this gorgeous version of Lovely New York by Evan Dando. Press comes from The Guardian (full album stream here, Tim Jonze video piece here), The Sunday Times and The Sun, while radio support comes from Dermot O'Leary, Gideon Coe and Eddy Temple-Morris. Proceeds from the album go to the Campain Against Living Miserably, a charity working to prevent suicide, the biggest killer of young men in the UK, and Jeevika Trust.